Branded Bridge Line offers detailed reporting of your monthly call activity to help you manage your business. Whether it’s for tracking internal costs or it’s for charging expenses back to your own clients, our reports will give you the data you need to efficiently manage your business. Each month a detailed report will be sent to you by email. 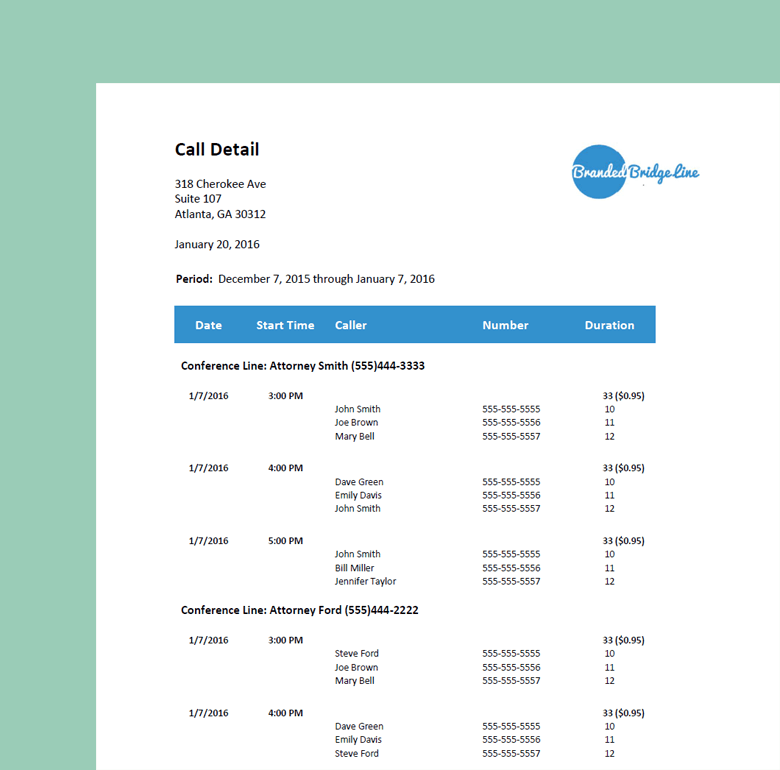 You can also access your call records online in your dashboard. Sign up for a free trial of our Branded Bridge Line service today to experience the difference first-hand.